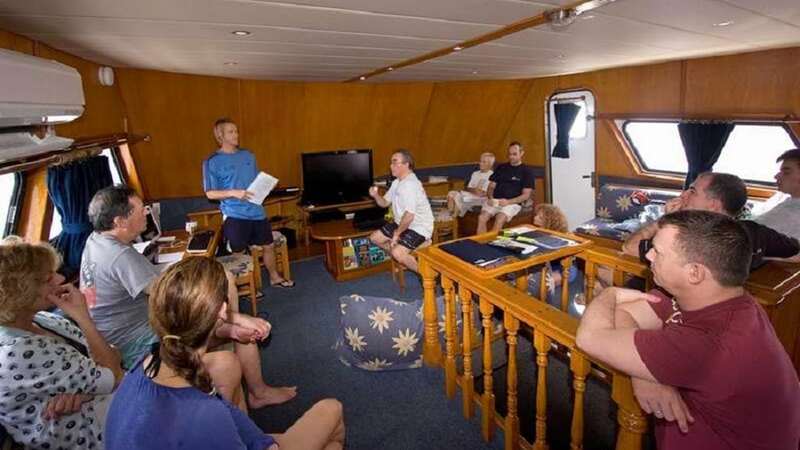 Atlantis Azores has set new standards in liveaboard diving in the Philippines and in Asia. The vessel is the perfect place from which to explore some of the best diving in the Philippines. It offers four distinct itineraries showcasing parts of the Philippines on schedules only possible by liveaboard. What stays the same are the creature comforts, great food and welcoming crew. The Atlantis Azores is a luxurious 35m monohull vessel accommodating 16 guests in space and comfort. There are 7 comfortable deluxe double staterooms and one owner’s stateroom. 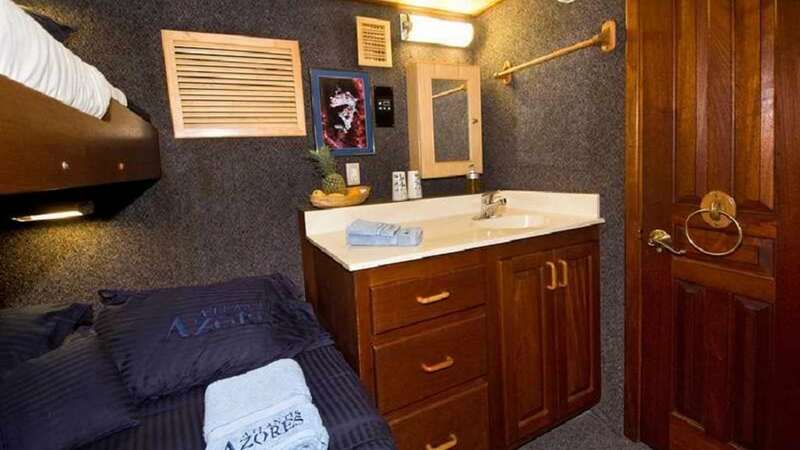 All cabins are equipped with individually controlled air conditioning, private bathrooms and are serviced daily. 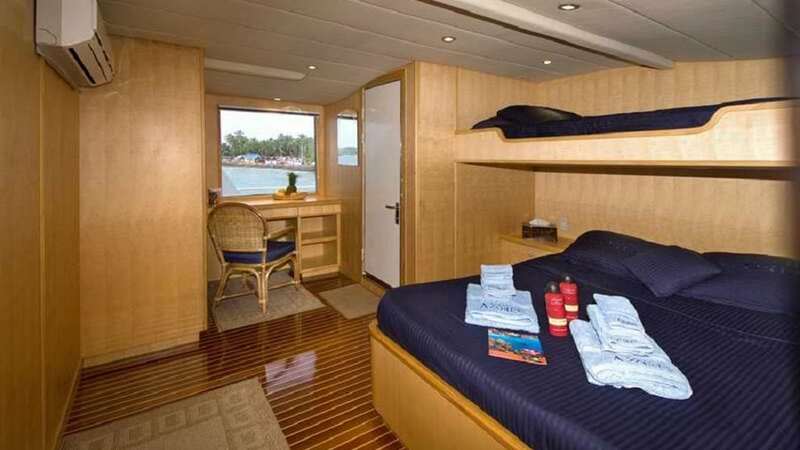 The deluxe double staterooms have one double bed and a single bed above. 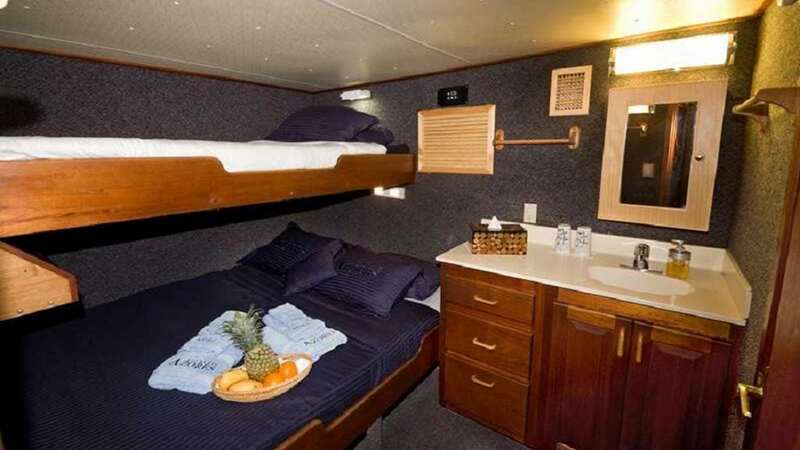 The owner’s stateroom is located on the upper deck and is a bit larger. The multi-level salon is functional and attractive, combining utility with comfort. 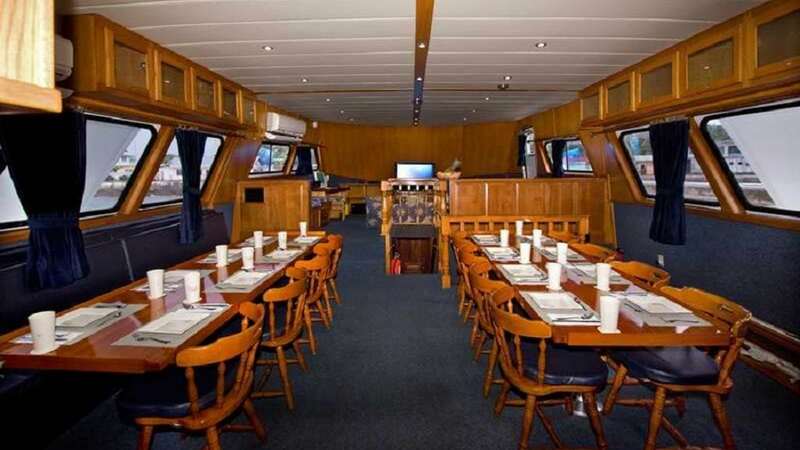 The vessel boasts a large TV/DVD entertainment unit, a large library of CDs, videos and books. Abundant seating and comfortable couches make the salon the natural gathering place. A few steps up from the dive deck is the sun deck, a large partially shaded, carpeted, deck with ice machine, beverage coolers and a beautiful lounge area. The covered, open-air lounge has custom-made chairs, love seats and a hand-crafted teak table. All drinks, local liquor, wine and beer are complimentary. 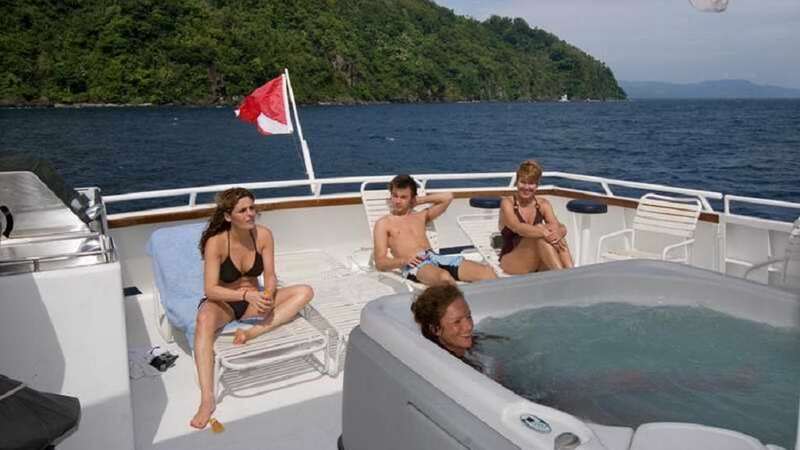 There is a “full sun” area for sunbathers complete with a new hot tub. – the perfect place to enjoy the stunning landscape of this region! The onboard chef takes personal pleasure in ensuring your culinary expectations are exceeded. From the mornings freshly brewed coffee and freshly baked breads, to made-to-order lunches, to the evening’s fine dining that you would expect from a top class restaurant. Every day’s menu is unique. The Atlantis Azores departs from different destinations according to itinerary. 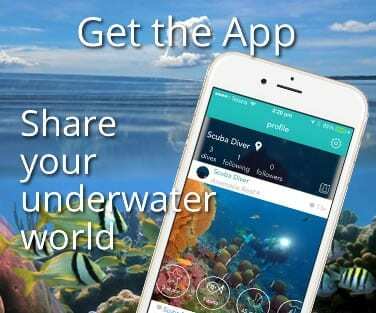 Four to five dives per day are offered daily. 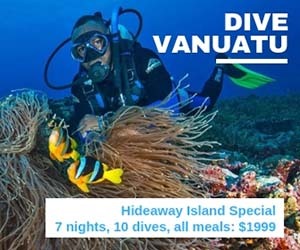 The liveaboard’s dive platform is at water level with two long ladders extending underwater for easy exit, though many of the dives are also made from the two dive tenders. The platform is equipped with two hot water showers, and tanks are filled in-place with either air or nitrox between dives. 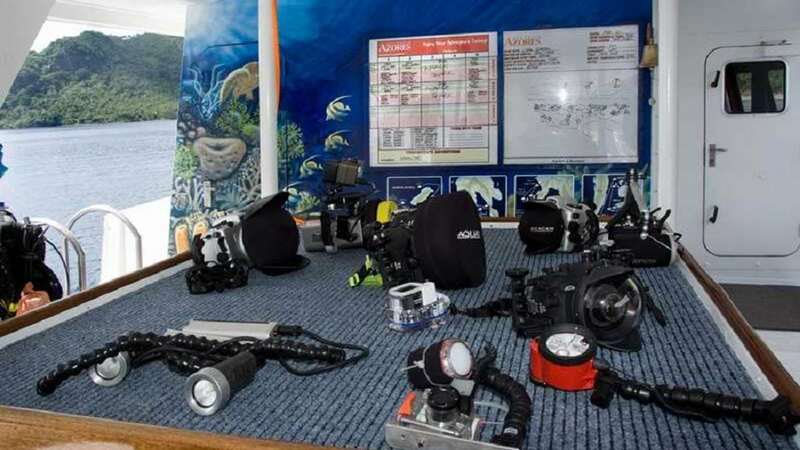 A full line of rental scuba gear is available on board. Technical divers (rebreather/mixed gas) can be accommodated on special charters. Atlantis Azores offers dive cruises in the best season for the best dive sites in the Philippines. 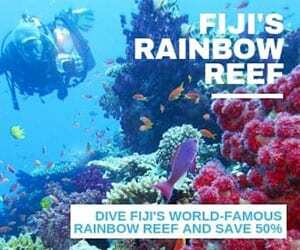 TUBBATAHA: These world famous reefs need no introduction, and the Tubbataha trips running from mid-March through to early June are the most popular, and are quickly booked in advance. BOHOL: The Atlantis Azores is based in Dumaguete for the months of June through to mid-January. Its Visayas Safari is a unique opportunity to take in several beautiful islands in one week. 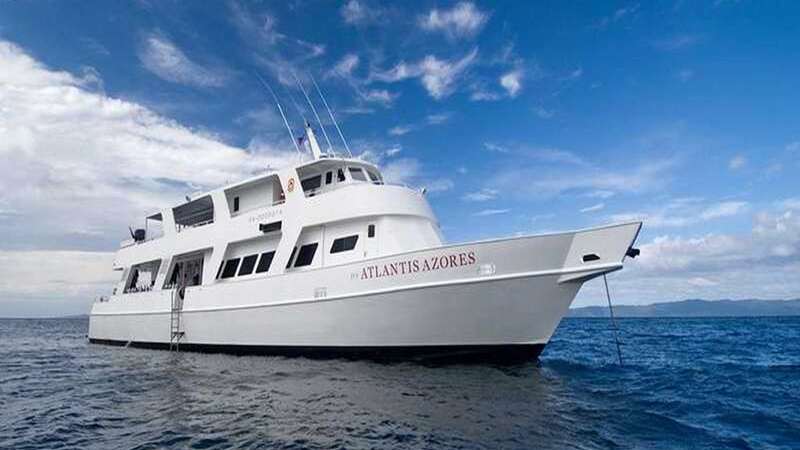 CEBU/MALAPASCUA: The Atlantis Azores spends mid-January through to mid-March and on shorter 7 night Malapascua cruises. From mid-June to early January, the liveaboard is on extended charters that will go around the island of Cebu and will include Moalboal, Malapascua and the dive sites around Bohol. The Atlantis Azores has a great approach to service, comfort and safety. 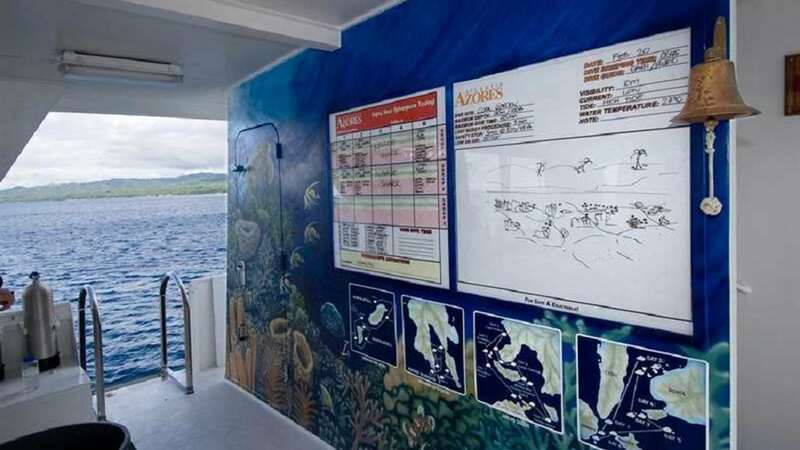 It is one of those liveaboards that provides a fantastic platform to explore the more remote reefs of the Philippines.